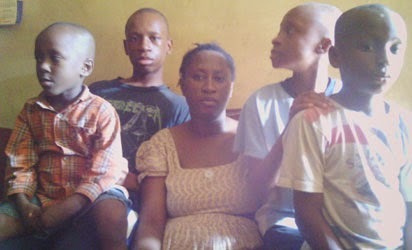 This is certainly not the best of times for Mrs Ini Abasirim, the pregnant widow of the bus conductor who was allegedly killed by policemen attached to the Lagos State Traffic Management Authority, last Monday, along Oshodi-Apapa expressway , owing to the devastating effect of the tragedy on her. YouTubeFacebook CEO Mark Zuckerberg.Facebook CEO Mark Zuckerberg had his first-ever public Q&A session on Thursday. 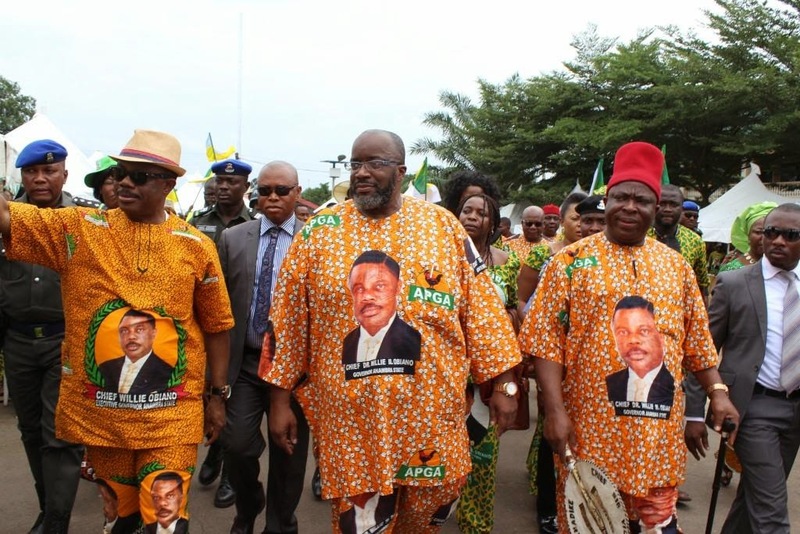 The All Progressives Grand Alliance (APGA) is in crisis in Anambra State, following the party’s decision to select three candidates as delegates, leaving out the executives in the 326 wards in the 21 councils. It was strange but it happened at late Ojukwu’s grave when the National chairman of All Progressives Grand Alliance, APGA kicked off his senatorial campaign at the grave yard of the late Ikemba Nnewi, Chief Chukwuemeka Odumegwu Ojukwu’s country home’ Nnewi, Anambra state. The Chieftain of the All Progressives Grand Alliance (APGA) and the Group Managing Director (GMD) of Oliswarren Associate, Mr. Olisa Aniunoh has called on electorate to be wary of political scavengers and Maradonnas and avoid voting people with questionable characters into power during the 2015 general elections even as he warned against money politics. The embattled Speaker of the House of Representatives, Aminu Tambuwal, on Wednesday, came down hard on President Goodluck Jonathan, asking him to resign from office for running “a system that does not have the interest of the country at heart”. The Federal Executive Council (FEC) has approved three foreign loans in the sum of $945 million to improve irrigation system, prevent flooding in Ibadan, Oyo State and provide water for Bauchi, Ekiti and Rivers States. The council meeting which was presided over by Vice President Namadi Sambo also approved four road projects totaling N22 billion. The Catholic Bishop of Maiduguri Diocese, Rt. Rev. 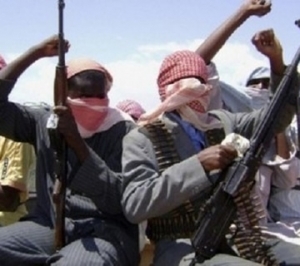 Dr. Oliver Doeme Dashe on Thursday said out of the 46 catholic priests working in Maiduguri Diocese, 20 are currently displaced by Boko Haram attacks. He also noted that out of the 40 existing parishes 20 have been deserted, adding that out of the 6 existing Deaneries, 3 are occupied by the Boko Haram members. 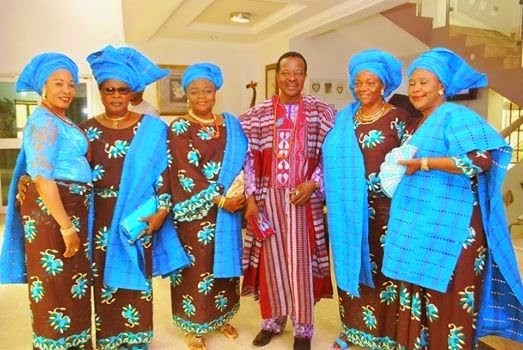 The Member Representing Orumba North and South in the Federal House of Representatives, Honourable Ben Nwankwo has described the perceived crisis rocking Anambra People Democratic Party (PDP) as an act of some few Billionaire entrepreneurs who see the state chapter of the party as an extension of their business empire. Former President Olusegun Obasanjo on Wednesday admitted that women in politics are more reliable than their men counterparts. Mr. Obasanjo said this when the Nigeria Association of Women Journalists, NAWOJ, paid him a courtesy visit at his Hilltop residence in Abeokuta and bestowed on him an award titled Father of Nation. There have always been reports that they don’t see eye to eye..But today,President Goodluck Jonathan & former President Olusegun Obasanjo arrived at the Council Chambers for Council of State meeting..The presidential media adviser , Reuben Abati shared the photo on instagram..
Nigeria’s leading online marketplace Kaymu.com.ng, which recently expanded operations to Abuja, has launched a hub in Port Harcourt. 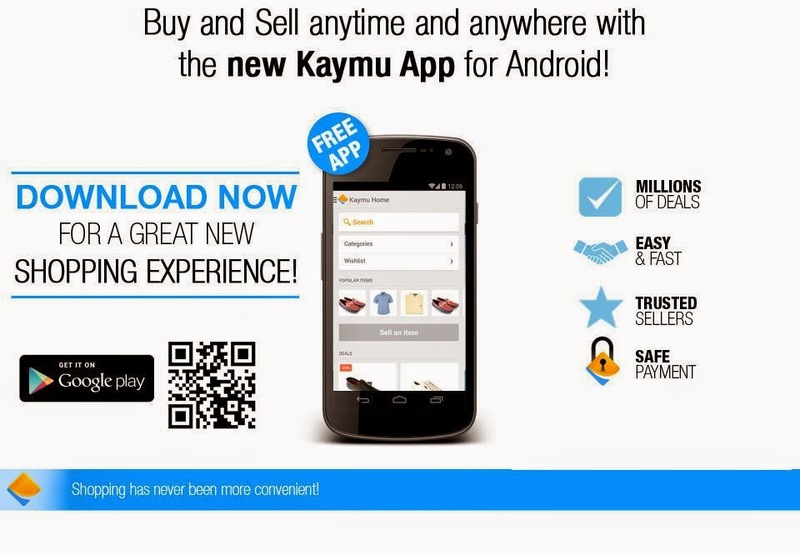 Evangeline Wiles, Managing Director of Kaymu, stated, “following the phenomenal response received in Lagos and the progress in Abuja so far, we are extremely excited to be launching in Port Harcourt”. A former commissioner in Anambra, Chief Dubem Obaze, has said that Gov. Willie Obiano of Anambra would rebuild the All Progressive Grand Alliance (APGA) as its board of trustees chairman. Speaking while declaring his intention to run for Anambra North senatorial zone in the 2015 elections at Ogbaru, Anambra on Thursday, Obaze said the governor had all the qualities to take the party to greater heights. Anambra state police command has decried the taking of laws into their hands by Students of Anambra State University, Igbariam campus, weekend when they protested alleged killing of one of their students in final year by the vigilance group. In a statement by the Police Public Relations Officer Uche Ezeh made available to Odogwu Media he warned against taking of laws into ones hands and the destruction of property worth millions but added that police had made some arrests and are still investigating he incident. He appealed for calm as police is on top of the situation and would arrest all those concerned for interrogation and eventual prosecution even as the vigilance man that killed the student have been arrested. The Catholic Bishop of Awka Diocese His Lordship Most Rev Dr Paulinus Chukwuemeka Ezeokafor has congratulated the executive Governor of Anambra State, Chief Willie Obiano on his recent appointment as the chairman of the Board of Trustees (BOT) and as the leader of All Progressives Grand Alliance (APGA). He charged the Governor not to allow the rigours characterized with such appointment to distract him from carrying out the onerous task of creating a new and vibrant Anambra State. On Monday, November 3, 2014, the Board of Trustees of the All Progressive Grand Alliance (APGA) unanimously appointed the Governor of Anambra State, His Excellency, Chief Willie Obiano as its new Leader and Chairman(BOT). The appointment brought to an end, an era that never was – the era of former Governor Peter Obi, the party’s recent past BOT Chairman, which was mired in intra-party squabbles and heady power-play. In the end, Obi’s appointment was never ratified. The rash of commentaries trailing the defection of former Governor Peter Obi of Anambra State to the People’s Democratic Party (PDP) is not unexpected given the central role the former governor played in the All Progressives Grand Alliance (APGA) hierarchy and the volt-face denials of the vows he made to justify his new political trajectory. Whereas many especially in the Igbo heartland felt scandalized by the former governor’s action and expressed it in different ways, others tried to lend support rather tamely by turning round to blame those who felt outraged by the apparent betrayal of trust. Sixteen men who were arrested by Nigerian soldiers in the country’s northeast were found dead just hours later with bullet wounds, community leaders said on Thursday, demanding an inquiry. Troops rounded up 17 people, including an imam, from the Dogo Tebo area of Potiskum in Yobe state as they left a mosque after morning prayers on Wednesday. Residents and hospital staff said the bodies of all but the imam were later found in the morgue at the Potiskum General Hospital. The purported impeachment of the Executive Chairman of the Onitsha South Local Government Area of Anambra State, Hon. Lady Ann C. Chukwuneke, by some councilors known to be hell-bent on removing the woman from office, in apparent abeyance to the letters and spirit of the constitution of the Federal Republic of Nigeria, has been described as a dirty script allegedly written and dictated by the Anambra State Governor, His Excellency, Dr. Willie Obiano and Chief Mike Kwentor, the Anambra State Chairman of All Progressives Grand Alliance. The police on Thursday arraigned a 65-year-old man, Nze Corlinius, at a Wuse Zone 2 Senior Magistrates’ Court, Abuja, for allegedly defrauding a Briton, Mr Davis Harries, of N5 million. The accused was arraigned on a four-count charge of criminal conspiracy, impersonation, theft, and cheating. The offences contravene the Penal Code, according to the police. 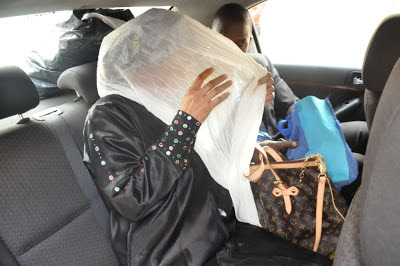 The prosecutor, Mr Falode Olutope, told the court that the accused, under false pretence, fraudulently collected the sum of N5 million from Harries. President Goodluck Jonathan’s one-day visit to Burkina Faso was severely criticised on Wednesday by Nigerians who felt it was misplaced and illogical. The President, in company with a few other African leaders, had gone to settle the political crisis rocking the West African nation. 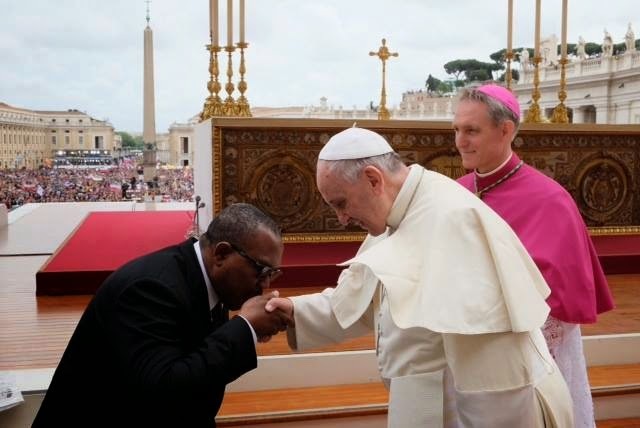 But many Nigerians kicked against the trip, arguing that he should have put an end to the ongoing carnage in the Northeastern states before accepting to mediate in another country’s domestic problem. Former Vice-President Atiku Abubakar on Monday said former President Olusegun Obasanjo had the right to endorse whoever he wanted for the 2015 presidential elections. Atiku said this in Abuja at a news conference organised by his media organisation to intimate the public of a policy review summit coming up at the Obasanjo Presidential Library in Abeokuta on Oct. 27. Debunking claims that the three-day conference was a ploy to get Nigeria’s ex-president to endorse him for the next general elections, Atiku said the choice of Abeokuta for the conference was because his media organisation felt each time they went to Lagos, the people’s daily routine was usurped. The Senate abruptly adjourned sitting on Wednesday without taking decision on any issue, including the bills before it. Before the adjournment which was protested by the All Progressives Congress Senators, its President, David Mark, lamented the withdrawal of the security aides of the Speaker of the House of Representatives, and vowed to protect the Legislature. He said, “We are not to interfere in the internal affairs of each house. However, as the Chairman of the National Assembly, I cannot fold my arms or pretend that all is well about the current crisis. Signs that the Senate might not have a smooth sitting however started when Mark read the prayers and an announcement by the Senate leader, Senator Victor Ndoma – Egba, inviting members of the PDP caucus for a crucial meeting at the Hearing Room One in the chamber. The PDP caucus in the red chamber were protesting their alleged maltreatment by President Goodluck Jonathan and the leadership of the party, over the last ward congresses, which ensured that only candidates of governors emerged as delegates. Mark thereafter invited Ndoma – Egba to lead the senate to the next item on the order paper for deliberation barely 20 minutes into the plenary. The adjournment motion was then seconded by the Deputy Senate Minority Leader, Senator Ahmed Sanni Yerima. While the PDP senators echoed yes to the Senate President’s question on whether the sitting should be adjourned as moved and seconded accordingly, their counterparts in the APC shouted nay but Mark ruled in favour of the former. But before he finally announced the adjournment, Mark explained that the decision was in solidarity with their colleagues in the House of Representatives over the withdrawal of Tambuwal’s security aides by both the Police and the Department of State Service. The PDP senators, led by Mark, immediately went into a private meeting to further perfect their strategies on how to confront Jonathan and the PDP over their displeasure with the conduct of their party’s ward congresses. Our correspondent learnt that the real reason for the abrupt adjournment of the Senate was to enable the PDP senators to have enough time to fine tune strategies for contesting the congresses, which ensured that only candidates of governors emerged as delegates. A senator, who confided in our correspondent, said they resolved to continue their protest until Jonathan and the PDP leadership ensured justice and fairness in the emergence of candidates that would win the PDP tickets in next year’s general elections. 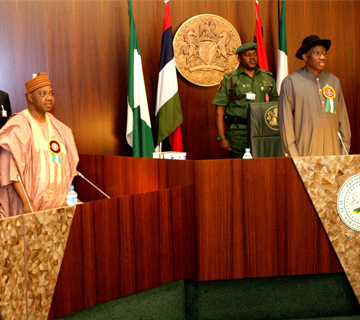 The source also said that their meeting with Jonathan over the congresses would hold around 10 pm on Wednesday. Another lawmaker said that they had already told the President and the PDP leadership that two serving senators from each state must get automatic tickets for the Senatorial poll. He said, “I am sure you are aware that PDP caucus met yesterday and today (Tuesday and Wednesday) on fundamental issues affecting democracy in Nigeria arising from the ward congress of our party last Saturday. However, the APC senators condemned the adjournment of plenary till next week, stressing that the PDP Caucus had decided to cripple activities in the Senate over personal interests. Spokesperson for the APC caucus, Senator Babafemi Ojudu, said in a statement that the action of the PDP senators were of no benefit to the overall well-being of the nation. The lawmaker accused their PDP counterparts of not allowing the Senate to sit for two days in a row. He recalled that the Senate adjourned as soon as it convened on Tuesday and adjourned again on Wednesday without any deliberation. Ojudu attributed what he termed as the PDP senators’ insensitivity to issues of national interests to the battle that they were having with their governors over PDP’s structures in their various states. Former Governor Kayode Fayemi of Ekiti state did not give the impression of being the anchor of an administration on its way out when the team of visiting journalists met with him in the late hours of last Friday. As the team motored up the treacherous hill to the new Government House, Ayoba Villa, commissioned just yesterday, Fayemi was apparently still engaged in the duties of state. In a statement issued in Abuja on Thursday by its National Publicity Secretary, Alhaji Lai Mohammed, the party said the shock stemmed from the fact that efforts are ongoing to reconcile the aggrieved members in the Ogun State Chapter, hence it was expected that they will give room for the efforts to yield fruits. It expressed the hope that the defecting party members will reconsider their decision and beat a quick retreat. LEADING cement manufacturer, Dangote Cement Plc, weekend, announced drastic reduction of the prices of its cement. The new price regime announced by the Group Managing Director/Chief Executive Officer, GMD/CEO, of Dangote Cement, Mr. Devakumar Edwin, pegged the Dangote 32.5 cement grade at N1,000 per 50 kg bag, while the higher 42.5 grade would sell for N1,150 per bag. When it comes to entrepreneurship, Chief Dr. Chidi Anyaegbu, CEO Chisco group has not only proved himself but has blazed a trail that others can follow. Like most entrepreneurs from the East, he started out selling Spare parts. But with a seed fund of just NGN120, goodwill, a detailed plan and a passion for excellence, Chief Anyaegbu has grown his transport business into the conglomerate, Chisco group having arms in Oil and gas, finance, hospitality, real estate, education, import and export. Thousands of supporters, sympathizers,leaders and chieftains of the All Progressives Congress, APC Wday stormed the expansive Metropolitan square along Asa Dam road, Ilorin venue of the public declaration of Governor Abdulfatah Ahmed for second term in office,where among others the embattled Speaker of the House of Representatives,Hon Aminu Tambuwal called on President Goodluck Jonathan to resign from office because of poor leadership or face the consequence of the angry electorates that will vote him out with the Peolpes Democratic Party in 2015 election so that there can be peace in Nigeria. 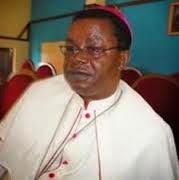 The catholic Bishop of Awka Diocese, Rt. Rev. Paulinous Ezeokafor made out time to educate journalists shortly after the celebration of this years, shortly after the solemnity of All Saints /Souls Mass held at St. Patrick's Cathedral in Awka, to pray for the fallen saints of God, who were opportune of being able to enter heaven but still caught in the bridge between heaven and hell known as purgatory. My Lord Bishop Sir, could you please explain to us the significance of today’s service, it seems unique, carved out from other services even making out time to pray and celebrate with the dead? Well today is a very important day in the life of Catholic church word wide which started precisely yesterday, when the church celebrated the solemnity of All Saints that is all that have lived in this life and have really done well in human reckoning and they are really counted among the saints. the members of APGA and Ndigbo intelligentsia. He said that APGA has more honest men, women, boys and girls who are not in power' that is better than Peter Obi with his eight year experience put together. Awka, the capital city of Anambra State continues to experience surge in entertainment glamour as the makers of Gulder Lager brings Marvin Records Crew to the A-Town. The Gulder Ultimate Search “The mission” officially ended today as the Chosen One returned with the Crown. To celebrate the brave warriors and reward the winner, Ndi Anambra were treated to a special show at the Women Development Centre, Awka. As the world continues to suffer from detrimental effects of global warming, more and more of our natural wonders are becoming endangered of extinction. When deciding on the perfect destination for your vacation, consider visiting the following nine locations because their days on Earth are numbered. A US nurse who returned from treating Ebola patients in Sierra Leone has defied a quarantine order, leaving her house in Maine for a brief bike ride. Kaci Hickox maintains isolation is unnecessary, as she has no symptoms and has tested negative for Ebola. Maine's governor is pursuing legal action to enforce her compliance. Nearly 5,000 people have died of the disease in West Africa, but only nine patients have been treated for the virus on US soil. What is your view on the state of the nation? Another Jubilee Word Festival is around the corner. What shape will this year’s event look like? With eminent speakers like Rev. Felix Omobude, Bishop Mike Okonkwo, Pastor Philip Thomas, Bishop John Francis (UK), Pastor Jonathan Miller (USA), and Bishop Wayne Malcolm (UK), this year’s event, billed for November 9-16, is loaded. We also have guest artistes like Frank Edwards (Nigeria), Lara Geaorge (Nigeria), VaShawn Mitchell (USA) and SONNIE BADU (UK) who will be ministering alongside our Milk and Honey Choir. Few days after a reported reconciliatory meeting between President Goodluck Jonathan and the Emir of Kano, Muhammad Sanusi II, Kano State Governor, Rabiu Musa Kwankwaso, has summoned the monarch to explain the trip. The emir had led a delegation from Kano Emirate on a visit to Jonathan at the Presidential Villa on Thursday. Though no reason was given for the visit, Villa sources said the former Governor of the Central Bank of Nigeria used the opportunity to reconcile with Jonathan.